Pammy Blogs Beauty: The Beauty Spotlight Team: 20 Questions with the Pink Sith! The Beauty Spotlight Team: 20 Questions with the Pink Sith! 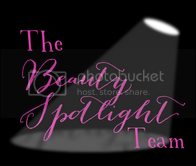 The Beauty Spotlight Group has decided to ask each of its members to reveal a little something about themselves through a series of 20 questions. It's Pink Sith's turn, and while she is not a fan of assignments or required writing, she is a fan of talking about HERSELF!! So here she is in all her glory, REVEALING ALL! !